The Waterway CD (centre discharge) E-Series pumps are designed especially for hot tubs and spas. Note the dischage port sits in-line with the suction port as opposed to the more common side discharge wet ends. This pump is not to common but still can be found in a great many hot tubs and spas, They have been known to have red coloured wet ends as well. Hi-performance Waterway wet ends are driven by quality E.M.G motors that by design, dissipate heat quicker and give lower running temperatures. The compact 48 frame pumps allow for installations into tight spots or in spa cabinets where space is limited and a larger 56 frame pump simply won't fit. This pump is slightly different as it has a central discharge point rather than it being of to one side. Waterway pumps are great alternatives to more expensive brands as well. Their wet end shape and dimensions mean they can replace most hot tub pumps out there from the likes of Aqua-flo, Century Laser, AO Smith, Vico, Sta-Rite, Emerson just to name a few. Usually little or no modifications are required. 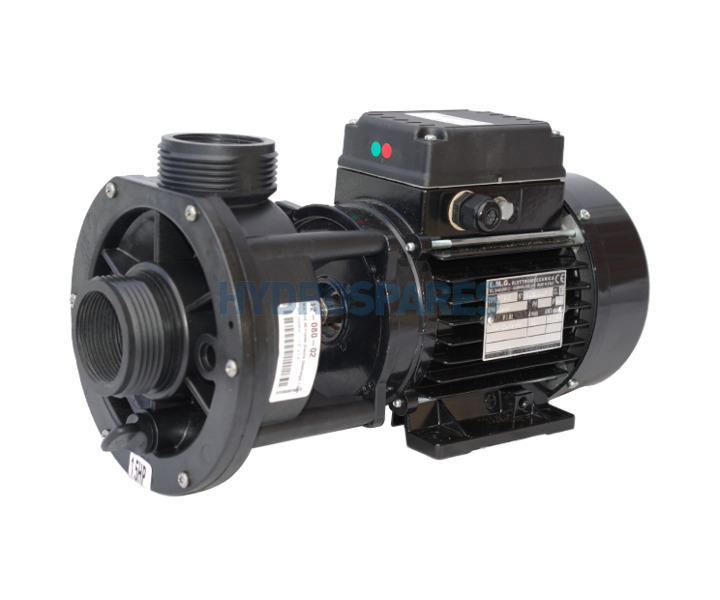 The E Series pumps are supplied without a cable. We recommend re-using the cable from your old pump to ensure correct fitment to your spa pack. 1.5", 2.0" & 2.5" union connection sizes are just terms coined by the hot tub industry, the actual outside diameter of a pump connection is as follows.